Welcome to Park Street Chiropractic Clinic. 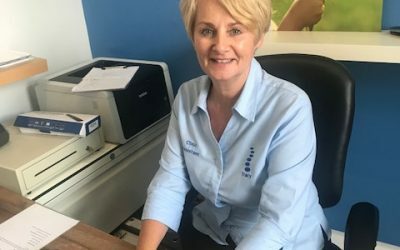 We are a well-established family chiropractic clinic in Central Leamington Spa that offers affordable chiropractic care while also providing advanced chiropractic techniques, a combination that creates a feel of a local chiropractor with the results of a specialist spine clinic. Take a look at this brief video to get a quick tour of what we do and how we can help you. Park Street Chiropractic Clinic in Leamington Spa was established in 2005 to provide family chiropractic care to our local community. 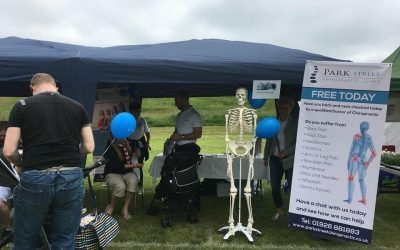 We offer affordable chiropractic care to anyone from birth to old age, using the most advanced chiropractic techniques for a truly person-centred approach. So, whether you’re looking for a sports chiropractor, whiplash treatment, a prenatal chiropractor, injury treatment, treatment for back pain, neck pain, sciatica, headaches or a wide range of other problems, we have the expertise to help you reach your goals. Our approach is guided by our intention statement, which is printed on the wall in our reception, to keep us reminded of what we are here to do and how we can best serve you. We are a dynamic, creative and inspiring family chiropractic centre that radiates energy, enthusiasm and healthfulness. We offer a pure and natural healthcare solution to guide all who seek our help towards the freedom that comes with fulfilling their health potential. We offer appointments from early morning until late evening, so whatever your schedule we will be able to find a time that suits you. We always endeavour to offer appointments as quickly as possible. Give us a call to make an appointment! When asked “what do chiropractors do?” most people would say that they treat back pain or fix bad necks. This is certainly the bulk of what we do at Park Street Chiropractic.. This is the home of transformative skin therapy, where you leave with glowing skin AND a new lease of life! Sports and remedial massage is about the manipulation and rehabilitation of the soft tissues of the body eg. muscles, ligaments and tendons. Orthotics are medical devices that are worn in the shoes to correct biomechanical abnormalities of the feet. The most common of these is hyperpronation..
We would like to welcome Tracy to the team who joined us on 26th March. We know that she will be an asset to our team with her friendly and welcoming approach, and we hope you enjoy meeting her on your next appointment. Sign Up to our Newsletter 'PS'! Keep up with the latest news from Park Street by signing up to our newsletter! Success! You have now been added to our mailing list.